Posted on Friday, November 16th, 2018. From Sound Dietitians, a partner of the Verdant Health Commission. View the complete blog post and recipes from Sound Dietitians at www.sounddietitians.com/sd-blog/jicama. Roasted alone or with mixed other veggies. 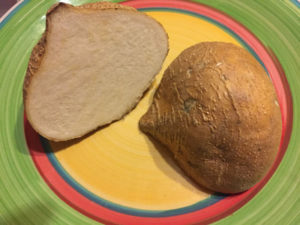 *See full blog post for a delicious fall recipe for jicama.